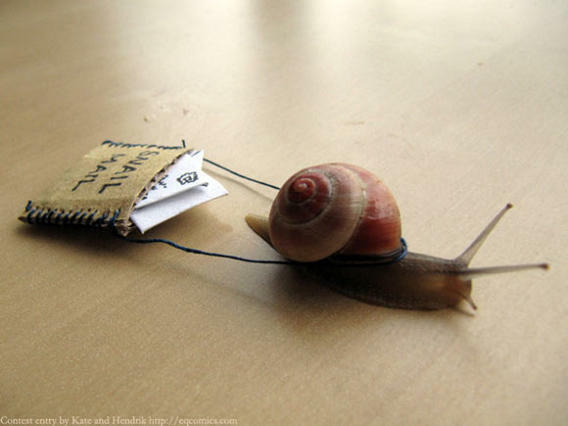 Snail Mail. It Does A Heart Good. But trust me on this one – this will be fun AND it will put a smile on someone’s face. And you get to pick which face. Sometime today, or in the next few days, I want you to sit down and send someone, anyone, a piece of snail mail. It can be a thank you note long overdue, a funny card, a newspaper clipping (does anyone read the hard copy of a newspaper anymore? ), or just a quick note. We have email in-boxes filled to the gills. It’s such a convenient and easy way to stay in touch. But think about how nice it is to open your mailbox — the real one, outside your front door — and see amongst the bills and junk mail, a handwritten envelope addressed to you. You scan the return address, you smile when you see who sent it. You race inside and toss the other junk aside. You feel the card in your hands and quickly open it. You giggle at the sentiment inside. You feel warm inside, knowing that someone took the time (all of 5 minutes but it feels like 30) to single you out and send you some sunshine.